Museum fur Kommunikation or Museum for Communication is based on people and the means of communication they use. The museum has interesting exhibits on communication and fictional characters. 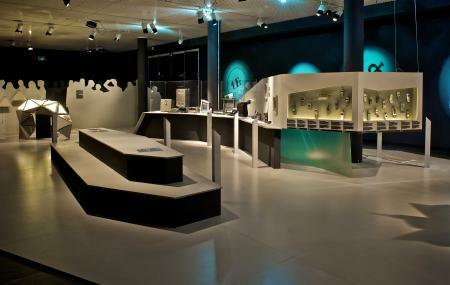 It is the only museum in Switzerland that focuses on the history of interaction methods and interpersonal communication. The exhibitions narrate stories about our daily dealings with relevant information on computers, internet, telecommunication, television, radio, etc. Free for students, schools and kids below 6 years. How popular is Museum Fur Kommunikation? People normally club together Einsteinhaus and Freibad Marzili while planning their visit to Museum Fur Kommunikation. One of the best museums I have ever visited. Lots of fun communication games. Lots of information about the ancient methods of communication. I call them "fossils of communication methods". And of course, information about the new methods and cyber crime. I found a feather pen with ink pots as well, which was well veey much fun to write with and then they have a representation of he golden record by Carl Sagan. Amazing!amazing! Just amazing! I really enjoyed it! The exhibition about silence was amazing. I need to go again and calculate more time. Probably one of the best museums I've ever been to. This place SERIOUSLY makes you think about the world of communication, technology and how it affects our daily lives. It really opens your eyes and makes you learn so much. Nearly all the info is in German, French and English which is really useful. We used our Swiss Travel Passes to get in for free, so that made it even more worth going to. Don't regret it, pay it a visit ! I loved how the museum kept the children informed and a great place to learn the history of communication. One of the best museums I have been to. Well researched, great interactive displays and so much detailed information. You’ll spend hours and learn a lot.